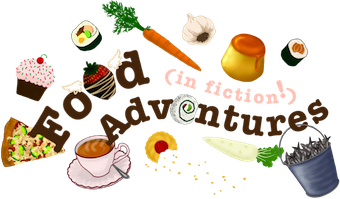 Book Adventures: ZombieNite Music, Jonathan Maberry Lecture, & a Giveaway! ZombieNite Music, Jonathan Maberry Lecture, & a Giveaway! Last Saturday was the Teen Book Fest at the Provo Library and boy was it a lot of fun! Two YA authors came to speak and sign, Susan Beth Pfeffer, author of the Last Survivors series beginning with Life as We Knew it, and Jonathan Maberry, author of the Benny Imura series beginning with Rot & Ruin, and zombie expert extraordinaire. Because Halloween is lurking around the corner and is about to leap out and sink its sticky teeth into us, I thought I'd share Jonathan Mayberry's portion of the event first, and Susan's part after the holiday. To begin with though, I'd like to present to you the awesome video shown in the interim between the two speakers, "ZombieNite", a zombie music video parody by Wes Nelson of "Dynamite" by Taio Cruz. Wes Nelson is the son of, Gene Nelson, the wonderful director of the Provo Library. Gene is also in the video as the zombie clown! Look for Courtney Lowe in the video as well (zombie form shown right). She's the Library's community relations guru and main reason for all of the great events. And just FYI, Courtney's last day at the Library is tomorrow. We will miss her so much! But the great events at the library will keep happening, Gene will make sure of it. Head over to the Library's Facebook page and send your love and give a thank you to Courtney for all of her hard and awesome work. And now for the music video! "I go Nom all night"--I love it! Jonathan Maberry loved it so much he said he is going to send to George Romero (creator of the quintessential zombie movie, The Night of the Living Dead). Now here's the slap dash of Jonathan Mayberry's presentation. I hope you enjoy! Jonathan Maberry grew up in Pennsylvania. Aside from being an author, he has been a bodyguard for Bruce Springsteen and Stevie Nicks. Jonathan also does comics and graphic novels for Marvel. He's written non fiction books and novels for adults and has recently begun writing for young adults. His Benny Imura zombie series, Rot & Ruin, Dust & Decay, and the recently released Flesh & Bone, is what brought Jonathan to the Teen Book Fest last week. The fourth and final book in the series, Fire & Ash, comes out next year. Between book short stories for the series are also available in eBook format. There are even movies in the works for the series! I grew up in a tough Phillie neighborhood. Reading wasn't accepted. I fled the city as soon as I could and moved to haunted Bucks County, PA. It was the most haunted place in the US, but is now the third. There are many creative people there. I meet at local bookstore every week and teache experimental writing for teens. 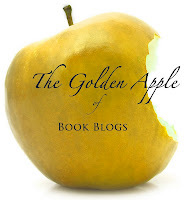 Every month we write in a different genre and we also talk about art of publishing. I've has been involved with martial arts since I was six. I was body guard. I was once attacked with a meat clever and got chopped in the shoulder while working for Bruce Springsteen. The next series I'm pitching is about a teen whose family are bodyguards and the teen wants to be one too. When George Romero came along, he was originally a documentary film maker and also did industrial commercials. He tried to get the film rights to the I am Legend novel written in 1954 by Richard Matheson. It's a book book about a vampire plague that wipes out the world--a Vampire apocalypse. It combined science fiction and horror. It created the base of the plague apocalypse genre. Romero couldn't get the rights so he made a new monster and his own movie. 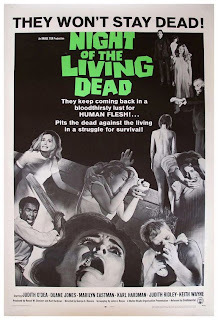 The monster was based on the Arabian flesh eating monster and the movie was "Night of the Living Dead" (1968). It became the first of the zombie films. They were not called zombies though. His next movie, in Europe, they called the monsters "zombies", but they are really flesh eating ghouls. October 2, 1968 was the premiere of the first movie. I snuck in. I was twelve years old. I saw the movie with a friend, my buddy was traumatized for years. I saw it twice and next day and next. I loved it. The reason I liked it so much was because vampire films were good in the first part and then ended stupidly. I wasn't scared. Werewolves were only cranky three of four times a month and I had sisters so I was used to that sort of thing. Romero gave us people who were our neighbors and friends and gave us thousands of them. I could handle a few with my martial arts (8th degree black belt in Jujutsu) but not so many! If you fight you loose some of your energy each time but they keep coming. And then there's the hesitation--what if it was my son? He'd get close to me but if it was my wife, I'd probably get bitten. There's a human element. My first zombie project was Zombie CSU. I interviewed people in the real world. How would the real world react? They answered me seriously and had thought about it previously. Homeland security, they have counter terrorist weekends to run scenarios for anti disaster protocol. They have scenarios for fast and slow zombies, people in a diseased state or drug induced, etc.. The pop culture geek part of me loved this. The military guys wanted me there to prove that they wouldn't loose the street to the zombies. After interviews for Zombie CSU I got idea for a military zombie series. The New Dead was not for teens but was about teens and later became what is now Rot & Ruin. I've done a bunch of diff zombie projects. With all that I came back to the human element of zombies. Rot & Ruin is after a zombie apocalypse. There are little fenced in communities. The adults all lived through the apocalypse and lost hope but the teens were too young to remember or never even knew the world before. There are two different points of view. The youth still have optimism. Today's teens are so much smarter and more capable than teens before. Knowing that gives me optimism. About Rot & Ruin, it became a talking point about the book. How many zombies can you kill is what is the running gag. But if you look at it and think, any person is a zombie. They were a victim of something. They died in pain and fear. When the are reanimated they may be hostile but it has no mind and therefore doesn't hate. Not consciousness. It's a living tombstone marker of where a person died. In the book they have closure specialists hired by families to kill zombie family members respectfully. 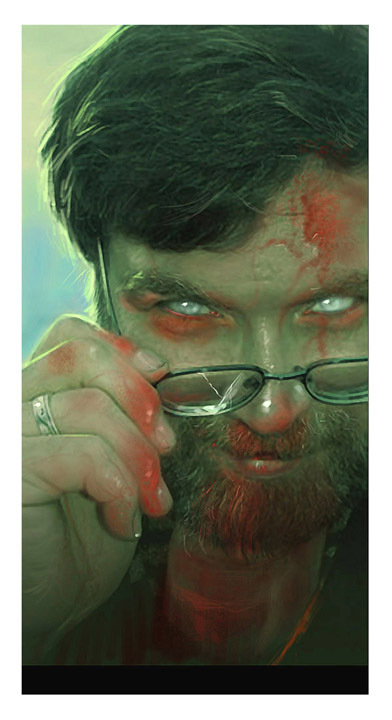 The underlining of the story is that zombies were people and still represent those people. Every zombie was somebody's family and was expected to have a future. It's about the value of human life and what life means. 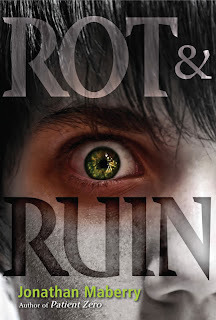 Recently the book [Rot & Ruin] was optioned for film and is in development. I'm not writing the script but I have regular conversations [with the film people] about what the story is actually saying and how to share that with the viewers. Not to tell them, but to show them. To let them bring something to it and think their way through. Q: What was the hardest part about writing your books? A: Limiting it to four. I jumped in full speed knowing it would end. Q: What is your favorite part of being and author? A: Traveling around the country and meeting people. 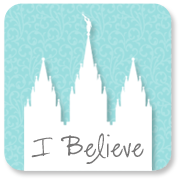 Last time I was in Provo was in 1978. It's totally different. I'm thinking about moving here. Q: What are your favorite books? And what affect did they have on your writing? A: When I was in middle school the librarian took me to meet two authors, Richard Matheson and Ray Bradbury. I read Something Wicked This Way Comes often. I learned to think beyond the ordinary. I also learned that science can be a way to tell a horror story. Q: Does the name of your characters mean anything? How do you decide what names to use? A: Benny is after Ben in "Night of Living Dead". Nix was after a girl in high school named Phoenix. My martial arts instructor's last name was Imura. Many names are after real people, people I know. Q: If you could have one thing during the apocalypse what would it be? A: A really good first aid kit. I can make weapons and hot wire a car, but I'll need a kit. Q: Worst school or library visit ever? A: I went to my old high school in Philly. It was really rough. They had metal detectors and policemen. In my day it was diverse but people worked on getting along. Now nobody gets along. It's violent. It was weird going back and being intimidated. Q: Are you a pessimist or an optimist? A: The glass is half full and the waiter's coming with a pitcher. I may be misinformed but that's how I see things. Q: What's your favorite scene? A: When Benny thinks Tom was killed in an explosion. Benny is on a horse. It's one of those moments that defines your whole life. Based on the choices you make you either earn the right to live or not. I woke in the middle of night to write that scene. Q: What was the hardest part about building the personalities? A: Benny is not likable. The story is about his changing point of view. It had to start with the main character needing work. It's tough to open a book with a character I wanted to slap. I built him to be annoying. Q: What's the meat cleaver story? A: I was in the Hershey hotel in Philly. A guy had been stalking Springsteen and was spotted in the hotel. We chased him and he ended up hiding in kitchen. W found him and he tried to put a cleaver in my head. He got my shoulder instead. My partner beat the hell out of him. I ended up in same ambulance with the stalker. I had six surgeries to rebuild my shoulder. 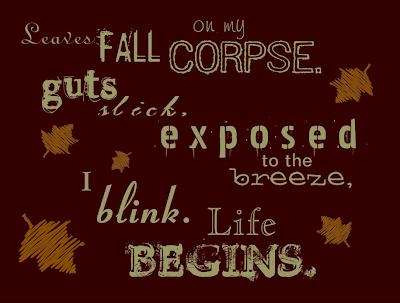 "Ode to the Autumn Dead"
To see some of the other zombie haikus, visit Jess' post about it here.